Stay in touch with everything you love about sport. 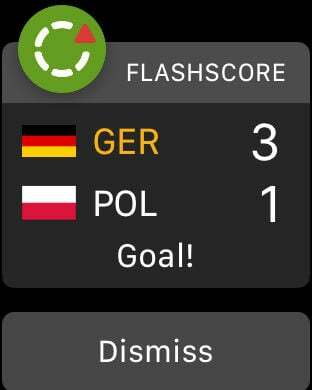 With the FlashScore24 app, you are always just one touch away from the fastest possible LIVE scores, stats, competition tables and draws from more than 30 sports and 9.000+ competitions worldwide. • GREAT COVERAGE: We cover more than 30 sports and 9000+ competitions worldwide. You can follow 1200+ football competitions alone! • SPEED: Whether a goal is scored, red card issued, set or period is over, you will know at the same time as the live audience. Soccer, cricket, rugby union, tennis, golf and 33 more sports. Do you miss your favourite sport in our app? It may change soon - we are continuously widening our sports portfolio!